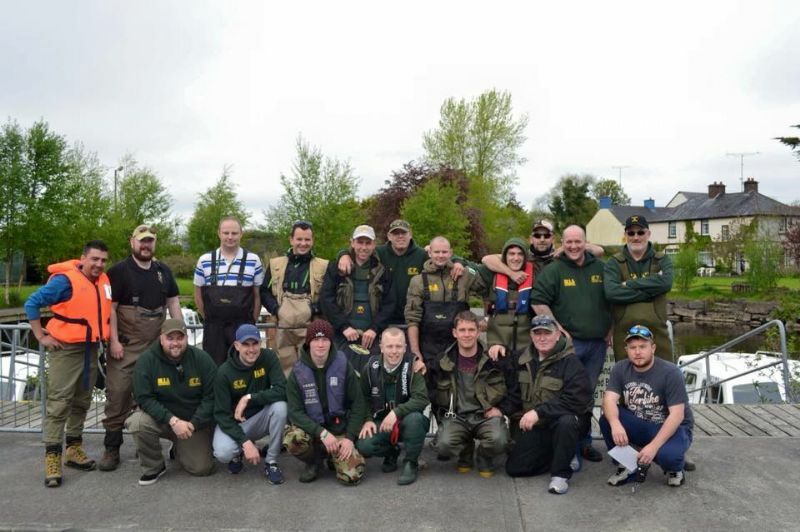 The day is finally here it’s time for the Leinster Pike Anglers annual boat competition in Leitrim Quay to fish the Shannon. For me it’s my first time fishing this competition. I missed out on last years, but I plan to make this my annual pilgrimage! 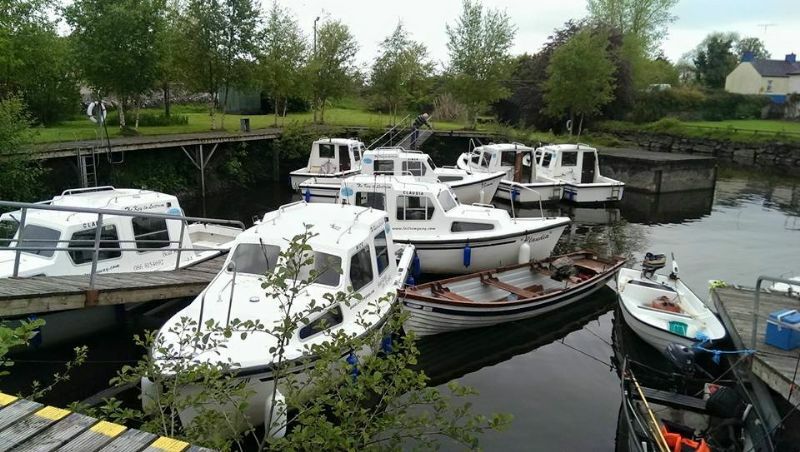 We land at Leitrim Quay around lunch time, most of us taking the Friday off work and setting off early. All week we were watching the weather closely and reports are looking good. This is shaping up to be the perfect weekend. A few of the lads have brought their own boats. Dave Moody and Ian Church both have their Porte Boats with them. They don’t look like much at first glance but after Churchie brings me for a spin and makes me stand up to test the “sturdiness” I soon see these boats are very impressive. Fran Crosbie has his 19 foot Anglers Fancy with him, a boat more to my liking. 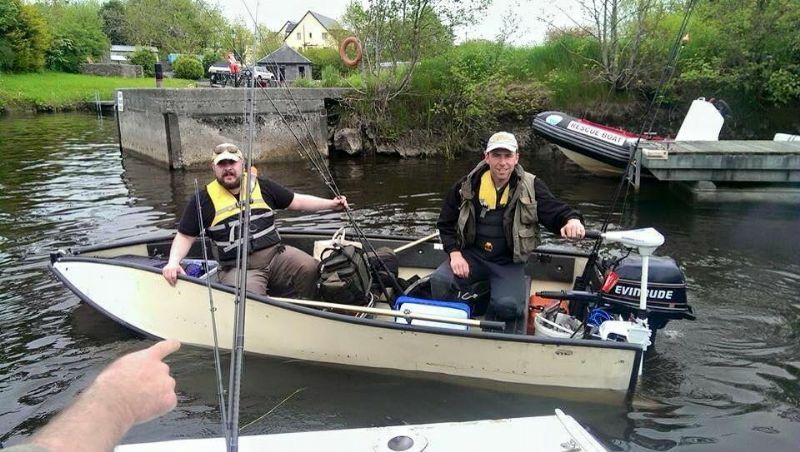 Ger Smyth who is a professional guide (Fermanagh/Monaghan Border fishing) has a very impressive set up, a Carolina Skiff with a 25HP engine on the back. Decision is made; I am getting my own boat for next year! 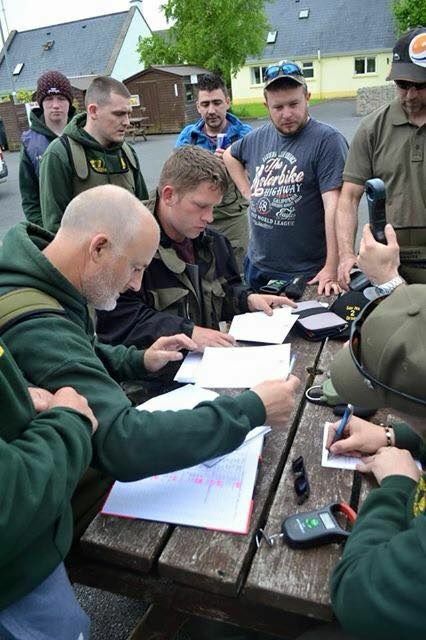 The competition runs on Saturday and Sunday so the few that make it down on Friday decide to do a bit of coarse fishing on the nearby canals. Fishing is good, some lovely roach, bream and hybrids along with a few jacks are caught and this really gets us all in the zone for the competition. It’s a funny sight to see grown men so excited. Only an Angler understands the excitement! After a few quiet pints and bit of food we have an early night making traces, checking over gear and getting the bait ready for the following day. Thank god for Damien O’Kelly bringing his chest freezer, I dread to think what state the baits would have been in without it. I rise at 7am and start making the fry up for the few lads I am sharing a house with. John Treacy did some job on the shopping and we have a mountain of food in the house. Check-in is at 9:30am so it gives us time to get the boats loaded and rods made up. Scales are checked and cards are handed out. I’m on a boat with Antony Lennon, my fishing partner since I joined the club. We are well used to each other and make a good team. 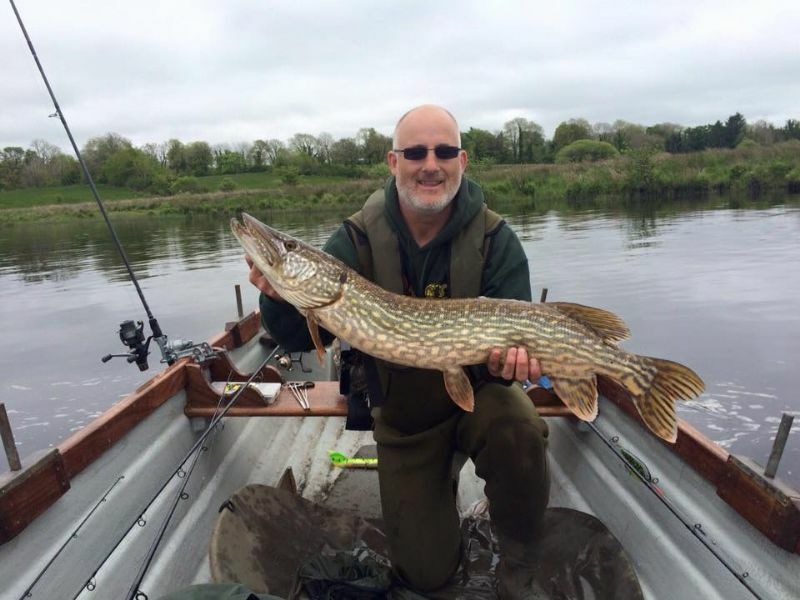 We both joined the Leinster Pike Angling club together and are pretty much at the same level. Due to one of the lads pulling out of the trip we take Damien O Kelly with us on our boat. The boats we rented are grand but a bit small for three of us given all the gear we each brought. Fishing starts at 10:30am. There is a big dash and everyone is heading off together eager to get to their own “spot” on the river that worked well for them last year. The Porte boats and Ger are gone like the clappers. 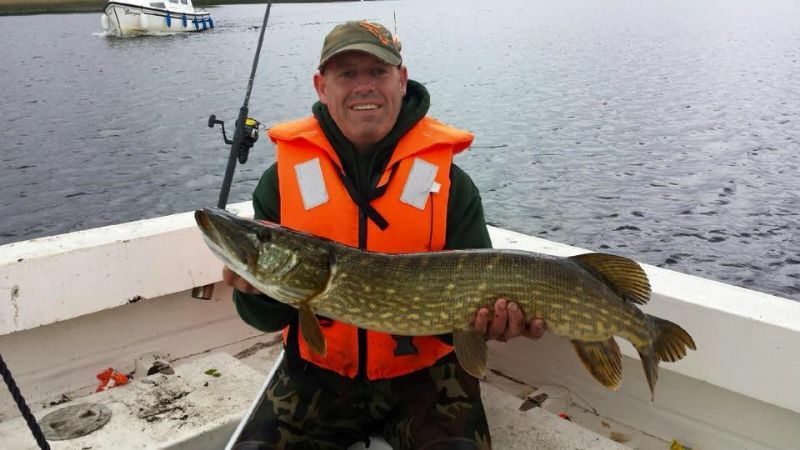 Damo fished the competition last year so he was familiar with the water and along with his fish finder brought us to a few deep pools. Competition rules are 2 rods each. We anchor up, all throwing a dead-bait rod out the back. Damo takes position on the front and is wobbling an Eel, Myself and Anto are wobbling a roach. Thirty minutes in and not a tap, although the fish-finder is telling us we are over a deep pool of 20+ feet so we are hopeful. Anto’s float is gone. 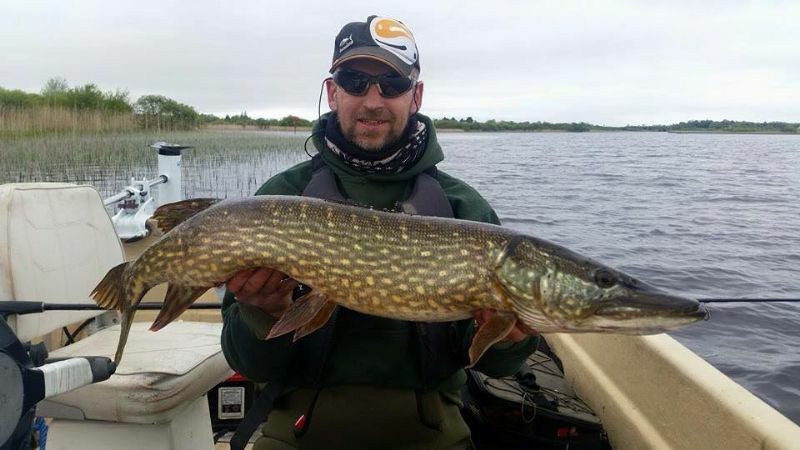 He strikes and it puts his Free Spirit Pike tamer through its paces. This is a nice fish. Playing it for about 5 minutes trying hard to keep the fish from tangling in the anchor line but it’s too late. I start lifting the anchor and Damo jumps down and gets the net ready. As I am pulling in the anchor Anto keeps reeling . We get a look at the fish as it breaks the water. 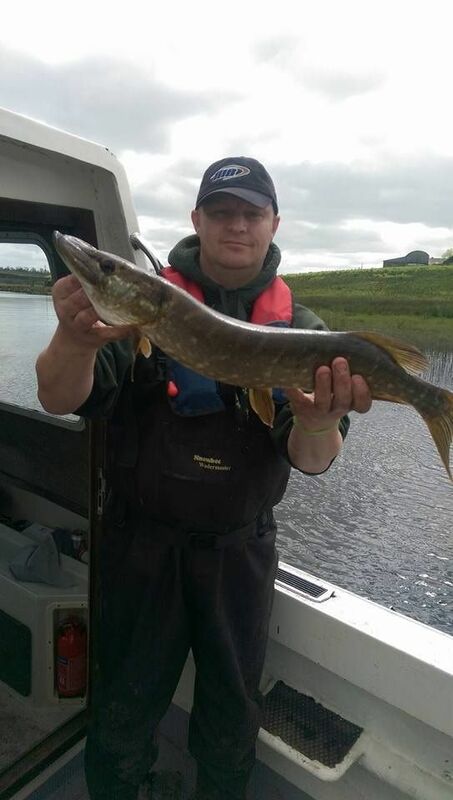 This is a nice Pike we all reckon about 10lb and a great start to the competition. The three of us get over excited and in the rush of it all the Pike turns and throws the hooks. Fair play to Anto he takes it on the chin. We anchor up on a few more spots over the day and cover a good bit of ground. 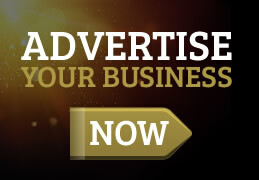 Occasionally passing a few of our lads and getting the news updates about everyone else. Word has it there are a few doubles been caught. At this stage there is still no fish caught on our boat and we are all getting disheartened. 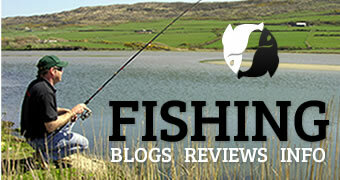 We have gone through a huge selection of lures, spoons, bait, you name it and nothing is working for any of us. We make our way back toward the quay as it’s close to 6:30pm wrap up time. I manage to hit a small jack on the way but dropped him. It would have saved me the blank. Heartbroken! We are first back to the quay. I am praying we are not the only boat that’s blanked because the stick from the lads will be epic! As the boats come back we soon learn only a handful of lads didn’t catch. 5 doubles are caught in total with Ian Church having a great day and finishing the day in the lead (8 fish – 43lb 4oz), followed by 2nd Fran Crosbie (5 fish - 29lb 3oz) and 3rd Lloyd Lynch (6 fish – 25lb 6oz). 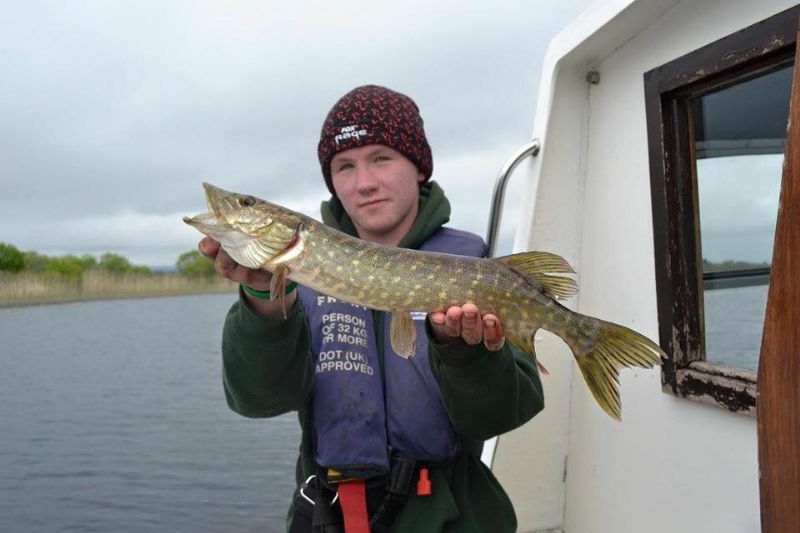 Watch out for Lloyd in the future he will surely be a top Pike and Carp angler and at only 18 he is doing some serious angling. I spend most of the evening trying to find out what tactics everyone’s using and get an idea of where they caught fish…as you can imagine this is near impossible. The only snippet of info I get is that some lads had fish whilst fishing roach on a float. So the game plan for me and Anto on day 2 is to anchor up anywhere that looks “Pikey” and fish it hard! 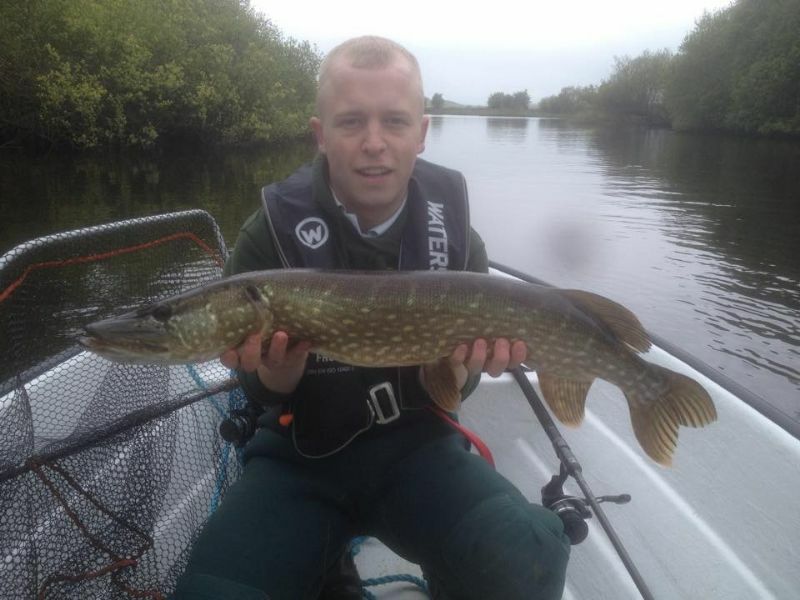 Damien had jumped ship and joined Ger who also had a good day 1 and caught a nice double of 16lb. 7.00 Am and a similar morning as day 1 this time John cooking the fry up. We all leave the Quay with clear plans on where we are going and what method we are using. On the previous day we had a lot of rain but day 2 was nice clear skies. Sticking to the plan myself and Anto hammered a lot of water with not so much as a line bite. At this stage fishing is slow for everyone and only a handful of fish are been caught. 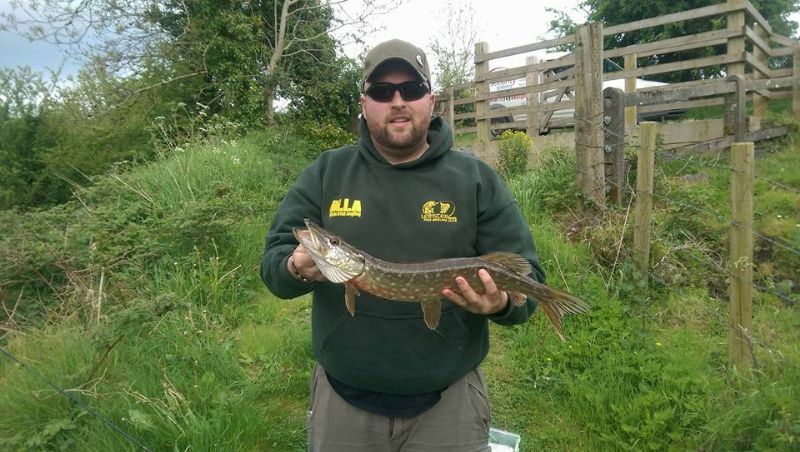 Fishing a small channel alongside Dave Moody and Emmet Kelly I finally hit my first Pike, a small jack. Soon after Anto is in, another Jack. I abandoned the roach on the float and went back to the old and reliable, wobbling a smelt. We were tucked in to a small bend with plenty of overhang. After about an hour we had 2 jacks each. We continue stopping at some lovely water that surely held some fish but proved empty or at least the Pike weren’t interested in what we had to offer. It was after 2pm at this stage and fishing had been slow for last hour so we moved on. Finally hitting a stretch that produced a few fish, the biggest was Antos 3lber. Even though the fishing was slow and neither of us had caught any monsters we were both having a great time and enjoying the day. Anto was the captain of the boat; he was the only one who knew how to drive it! A few times we drifted in the way of some Shannon cruisers and got some evil looks and a couple of finger gestures! On way back to the quay we stopped off at a spot close to where Anto lost his double yesterday but we didn’t manage much. I finished up on 5 fish for 9lb odd and Anto had 4 for around the same. We came across Rodney and Leigh who also had an enjoyable day but fishing was slow. Earlier Rodney hit a big fish early on and whilst playing it what can only be described as a gob-shite on a speed boat crossed his lines resulting in him losing the fish along with his gear, the lad even gave the fingers when he passed knowing well what he was doing. Poor Rodney though, he was reigning champion but this year just wasn’t to be. With all the lads now safely back at the check-in we were all exhausted and the thoughts of having to pack up the gear and clean boats didn’t appeal as much as having a few cold pints. 21 Anglers fished the weekend, 127 fish landed and released plus about 1000 dropped runs! 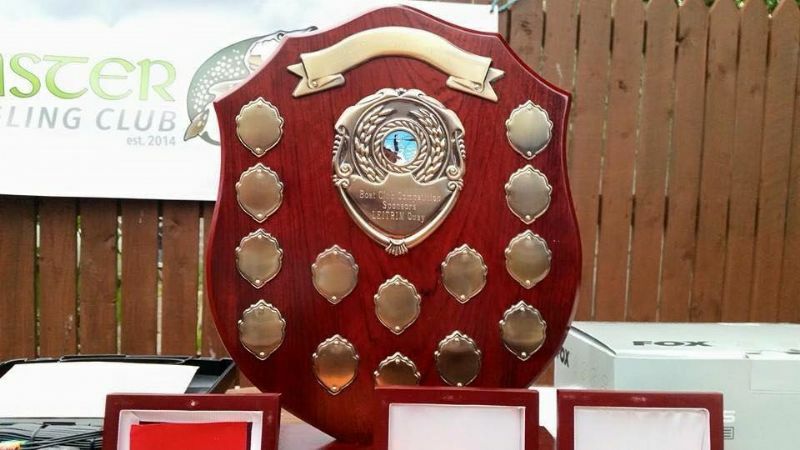 Results for Day 2: 1st Lloyd Lynch (9 fish – 31lb 10oz) 2nd Dave Moody (8 fish – 30lb 5oz) 3rd Emmet Kelly (6 fish 26lb 15oz) Very close between Lloyd and Dave. Every fish the club caught was released safely back to fight another day. Well done to all the winners. Ian Church had a super weekend and won the competition in style. 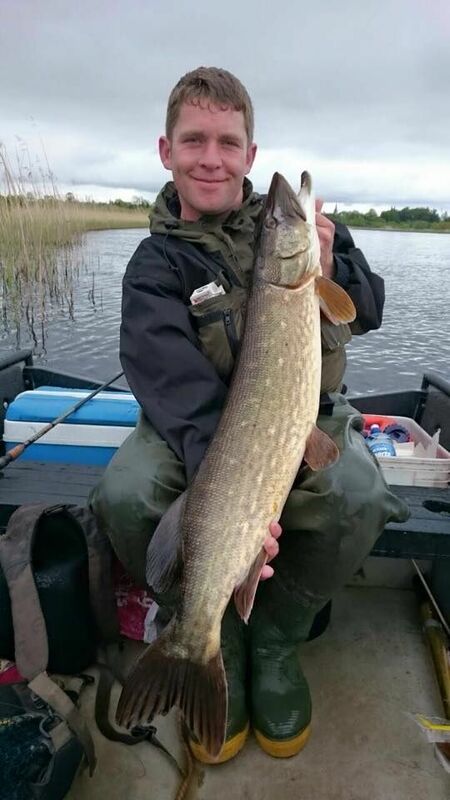 In the spirit of the club we even recognised Damien O’ Brien with smallest fish of the comp and he too got a trophy. That night we had a BBQ in Carty’s Bar followed by a few pints. This was a nice ending to a great weekend. Roll on next year! Having only joined the club a year ago I have learned a lot about Piking, all the lads are eager to help and don’t mind showing new members the ropes. The LPA only formed in 2014 but it will be around for many many years to come, it’s a super club and anyone wishing to join should get in touch.